Chinese handset maker, OnePlus has started rolling out the Android 9 Pie stable update to its latest flagship smartphone, the OnePlus 6. 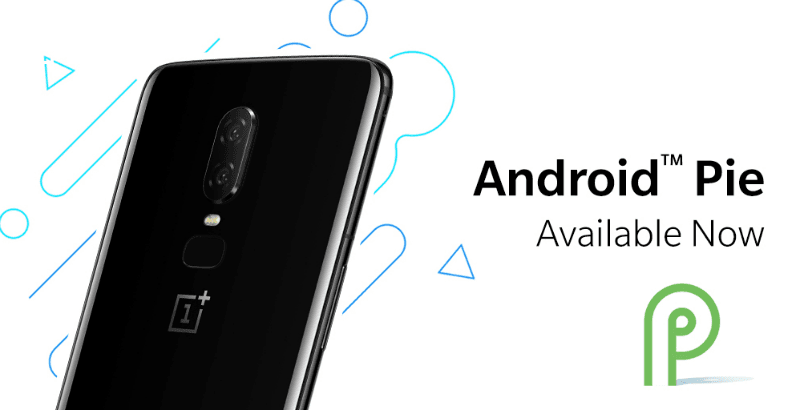 Since the last few weeks, OnePlus has been offering Android 9 Pie to OnePlus 6 users via Open Beta programme, but now, the company is rolling out a stable version. Do make a note that it’s a staged rollout which means only select users will receive the update today. OnePlus also confirmed that the VPN method would not work this time around as the update is not pushed based on regions. Firstly, the Android 9 Pie update for OnePlus 6 is based on OxygenOS. OnePlus says the update features brand new UI for Android P and also comes with Android P Gesture Navigation. The best part is OnePlus also included its own gesture navigation interface which was introduced with the OnePlus 5T. According to the changelog posted by OnePlus, the update includes new Do Not Disturb (DND) mode with adjustable settings and a new Gaming Mode 3.0. Other new features include text notification mode, notification for third-party calls and accent colour customisation, which was already present in the Open Beta versions. “With Android Pie platform update, the OnePlus 6 features the brand-new Android Pie UI, Android P gesture navigation, expanded accent colour customisations and more,” said OnePlus in a forum post. OnePlus also confirmed the update will include features such as Adaptive Battery technology, which learns how you use your phone, so apps and services you rarely use aren’t a battery drain and you can focus on the apps you care about. Right now, the update is being rolled out to only a limited set of users. OnePlus always does this staged rollout with a major software update because if users notice any major bugs, then the company will halt the broader rollout and fix the bugs, then releases the update again. OnePlus also stated that the old VPN method would not work for the OnePlus 6 because the update is being rolled out to just a limited set of users and not in some locations. While rolling out the Android 9 Pie update to OnePlus 6, the BBK Electronics-owned company also committed to providing the update to other smartphones such as OnePlus 5T, 5, 3T and OnePlus 3. “OnePlus is committed to giving users the best possible experience, consistently delivering software updates for two years after the launch of a device, and security updates for an additional year after that. We’re looking forward to bringing Android P to the OnePlus 5/5T and OnePlus 3/3T, ensuring OnePlus users all over the world can continue to enjoy new features,” added OnePlus. However, the company did not reveal when it’s going to release the update to other devices though. Open betas are best , updates every 2/3 week ? ?